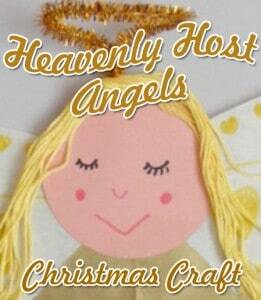 Today’s post is from a guest blogger, Mary-Kate Warner from Christianity Cove, sharing a timely angel Christmas craft and message. Luke 2 tells of the famous siting of a heavenly host of angels by the shepherds in that region. 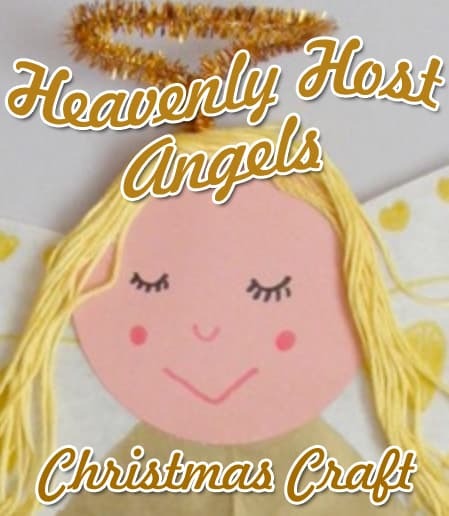 Having your class create a heavenly host will provide a great opportunity to tell that story again and make the students feel a part of it. 1. Draw the shape of angel wings on tracing paper. One way to do this is to draw a heart (size depends on how large your angel will be). 2. Cut the heart in half. Each half will be a wing. 3. Decorate the wings with gold tip pen and glue to angel’s shoulders. 4. Cut strands of hair from yarn. Most people imagine that angels have gold hair, but angels can have red, black or brown hair. Use your imagination. 5. Draw eyes and mouth on the angel’s face. 6. Make a cone shape out of white construction paper for the angel’s body. 7. Fold the pipe cleaner in half and form a loop in the center. Twist the ends together and glue to angel’s head (see illustration). 8. Place your host of angels over the windows for a week or two. The sun will shine through and make them glow. Many angels were present at the birth of Jesus. But we need to remember that there are many angels present with us today. They live in heaven but they visit and surround us. We cannot often see them, but we can take God’s word that they are there. You are free to ask Jesus for the protection of angels any time you feel unsafe or afraid—not just at Christmas time, but all year long!